Description: Welcome to Arizona, coinciding with the other “Four Monument” states of Utah, New Mexico, and Colorado. As with the others, this tour begins and ends at KFMN – Four Corners Regional Airport. 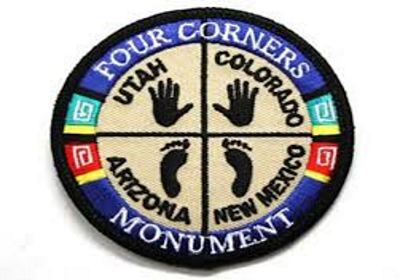 Once you complete the 4 parts you will be issued the "Completed Badge" for the 4 Corners Tour. For you daredevil pilots out there, you just might love this tour. You’ll have a chance to fly down under the radar weaving through the Grand Canyon. Hopefully you find this tour to be quite a bit of fun. Be warned that somewhere along the canyon they put up a large glass walking bridge jutting out into the middle of it, so don’t pull up too soon. In FSX it’s a rather boring event, but it may appear to be more prominent in P3D or X-Plane. (if so, please post a screenshot of it). If you fly direct to each airport you’ll miss sections of the canyon, so I would highly recommend full VFR flying. These GA Tours were built for GA aircraft but with Mirage, as usual, you may fly any aircraft of your choosing. Just be sure you have the fuel needed and can manage the runway length. Thanks to Greg J at MacAir for this tour, however, Pat and I decided to build it in reverse from theirs. Enjoy the flights!